Convergence. It’s what happens when two competing ideas begin to merge. For the past 7 years, Tesla has been going it alone when it comes to building charging infrastructure for the electric cars is produces. Its Supercharger locations were dedicated solely to Tesla drivers. If you drove a LEAF or a Chevy Bolt, you were on your own. Now, Tesla and the city of Pasadena have agreed to a five year plan that will see them cooperate on the construction of the largest EV fast charging facility in the western United States. On March 11, the Pasadena city council voted 7–0 to move forward with the plan. Tesla will install 24 of its Superchargers on the roof of the Marengo parking garage on East Green Street. Here’s the kicker: While Tesla is doing that, it will do something it has never done before. It will pay to install the basic electrical wiring needed to install another 20 Level 3 fast chargers. That will save the city about $140,000 in capital costs, reports the Pasadena Star-News. Pasadena currently has one public Level 3 charger and no Superchargers. Joel Levin, executive director of Plug In America, says Tesla and Pasadena are creating a new model by locating so many chargers in one site in an urban setting. The installation will benefit not just retailers but EV owners who live in downtown condos and townhouses who do not have charging equipment. For Pasadena, the new chargers will help it reach its long-term carbon reduction goals. And what’s in it for Tesla? That’s easy. Free advertising. For a company that aggressively avoids advertising its products, keeping its name in front of the public is critical. This way, all those people who bought a dowdy Chevy Bolt or Nissan LEAF can stare at the Teslas nearby and think to themselves, “Someday I will own a Tesla.” That makes the $140,000 Tesla will spend to help get other high-power charging equipment installed seem like a bargain. 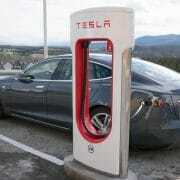 Tesla & Pasadena Will Cooperate To Build Largest Fast Charging Facility In Western US, by Steve Hanley, Clean Technica, March 13, 2019. U.S. electric vehicle sales may be finally seeing the hockey stick growth market watchers have been waiting for. The 2018 numbers are in, and total U.S. EV sales came in at 361,307 for the year — up 81 percent over 2017 — according to the tracking website Inside EVs. For Chris Nelder, manager of Rocky Mountain Institute’s mobility practice, the results came as a surprise. Last year’s strong sales performance really came down to one thing: Tesla. The Silicon Valley automaker sold 139,782 units of the Model 3 in 2018, according to Inside EVs. Including the Model S and the Model X, Tesla was responsible for more than 50 percent of total plug-in vehicle sales last year. The Toyota Prius Prime was the second-bestselling EV of 2018, with 27,595 units sold. GM’s Model 3 challenger, the Chevy Bolt, made the top 10 list but was well behind the market leader, with just 18,019 sales for the year. U.S. EV sales to date have been underwhelming. While launching an entirely new class of vehicles is no easy feat, China has seen adoption levels surge, while European countries lead on a per-capita basis. The U.S. EV sector has seen incremental growth over the past several years, but it has yet to reach an inflection point. And sales actually saw a dip in 2015. In 2017, U.S. EV sales totaled 199,818 — up 26 percent over 2016. That number set a new record for the U.S. market, although plug-in sales barely surpassed 1 percent of total market share. Historic EV sales growth in the U.S. has been steady, but it’s safe to say it hasn’t spiked. 2018 may prove to be the year that changed, but it will depend in large part on how well automakers other than Tesla perform. Taking the Model 3 out of the mix, U.S. EV sales increased by only 11 percent last year, a poor showing by most standards. But Nelder notes that many automakers were focused on introducing new EV models and retooling their production lines in 2018. While this didn’t translate to enormous sales, he believes these investments will start to pay off in the coming months. There are several new mass-market EVs available with over 200 miles of electric range, such as the Kia Soul and Kia Niro. At the same time, brands such as Mercedes, BMW, Porsche, Jaguar and Audi are launching headline-grabbing high-performance electric cars — and putting real pressure on Tesla for the first time. US Electric Vehicle Sales Increased by 81% in 2018, by Julia Pyper, Greentech Media, January 7, 2019. The California 2018 ZEV Action Plan contains some striking figures, like the fact that over 410,000 ZEVs have been sold in California, and 150,000 since October 2016. Another is that more than twice as many zero-emission vehicles (ZEV) models are available in California now compared to October 2016. Tyson Eckerle, Deputy Director for ZEV Infrastructure, answered some questions about ZEVs in California for CleanTechnica, including about the fast chargers. Governor Brown signed an Executive Order to support 1.5 million zero-emission vehicles (ZEVs) on California roads by 2025, on the path to 5 million ZEVs by 2030. With the new governor, are those targets still active and valid? What is the roadmap to reach each one? Success hinges on actions from all parties: industry investment, state incentives and strong regulatory frameworks, consumer awareness, workforce development, local initiatives, etc. At the state, our role is to work with all stakeholders to create conditions for market success. Is the target to install 250,000 EV chargers still valid? The target is still valid. It reflects modeling done by the California Energy Commission and National Renewable Energy Lab. We will continue to learn as the market develops, and make adjustments as necessary. How many will be slow chargers and how many will be fast? EO B 48-18 targets 10,000 fast chargers by 2025. These are a subset of the 250,000 goal. 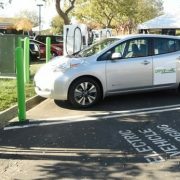 How many EV chargers are there in CA currently? We currently have 17,875 public chargers (at 4,800 stations). This number includes DC Fast chargers (2,602 chargers at 639 stations), and Level 2 chargers (15,273 chargers at 4,394 stations). The numbers above are only public stations. The 250,000 target includes shared, private chargers at workplaces and MUDs. This private station data is not readily available, however, we know it measures in the 10’s of thousands. Why is it important to get more ZEVs on the roads, and are ZEVs all electric vehicles only? California’s transportation sector accounts for 50% of our GHG emissions, in addition to creating a significant share of criteria pollutants. Only ZEVs have the ability to eliminate all pollution, starting with the tailpipe and moving upstream to production and distribution. ZEVs include battery electric vehicles (BEVs), hydrogen fuel cell electric vehicles (FCEVs), and plug-in hybrid electric vehicles (PHEVs). Is the state of CA working with ZEV manufacturers to get more on the roads, with tax credits or other incentives like rebates? The state has a suite of policies dedicated to getting more ZEVs on the road. Our Consumer Vehicle Rebate Project gives rebates to qualified customers, manufactures have benefited from tax incentives in two robust programs: GO-Biz’s California Competes tax credit program and the California Alternative Energy and Advanced Transportation Financing Authority (CAETFA) program run by the Treasurer’s Office. Additionally, the California Energy Commission, Air Resources Board, and Utilities (overseen by the Public Utilities Commission and Energy Commission) are investing in market enabling ZEV infrastructure (both plug-in chargers and hydrogen fueling stations). Will the state of CA support group buy programs with discounts for new vehicle buyers? Our Department of General Services recently made it possible to state and local government employees to purchase select ZEVs at the state contract price (previously, the contract prices could only be accessed by government entities). This comes in addition the rebates offered through the statewide Consumer Vehicle Rebate Project and the Enhanced Fleet Modernization Program currently available in the San Joaquin Valley Air Pollution Control District and South Coast Air Quality Management District Jurisdictions. How many ZEVs are on California roads right now? We just passed 500,000 ZEVs sold in California. I typically refer to Veloz.org for the specific count, but the website is down at the moment. If the state of CA can have 5 million ZEVs on the roads by 2030, are there any estimates for how much air quality might improve? We don’t have estimates that single out ZEVs from the broader Advanced Clean Cars rules. The closest estimate we have is in the 2016 Mobile Source Strategy done by ARB. In the report, ARB estimates that Advanced Clean Cars 2, which includes 4.2M ZEVs and cleaner tailpipe measures, would result in 2 tons/day statewide NOx reductions. 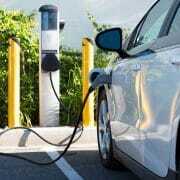 10,000 Fast Chargers By 2025 In California ZEV Plan, by Jake Richardson, Clean Technica, December 13, 2018. It’s widely known that California is the center of US electric vehicle adoption. California leads the country in terms of overall electric vehicle (EV) sales as well as EV market share of new vehicle sales. It’s also where Tesla was born and where nearly every US EV startup pops up. Note that the US EV market share for the first half of the year was 0.9%. It will be interesting to see how these numbers shift in the second half of the year and next year. EV market share in California rose to 4.1% by the end of the 3rd quarter. One topic that pops into mind looking at all of the data is EV availability. Automakers sell electric cars in California because they have to. Incentives are relatively strong in other top EV states, but the bigger matter is probably availability. Tesla sells its vehicles to customers all over the country, and you can probably find Nissan LEAFs on dealership lots all over the country as well, but many EVs are available only in California and a few other states. It’s pretty hard to buy electric cars in Alabama if dealers aren’t selling them, ya know? The next 10 were: Denver, Eugene, Palm Springs, Phoenix, Eureka, Austin, Washington DC, Atlanta, Charlottesville, and Bend. The only cities in that list not in the west are Austin (Texas), Washington (DC), Atlanta (Georgia), and Charlottesville (Virginia). It’s interesting that Tesla’s birthplace is #1 on this list as well, which I assume has to be in part due to Tesla’s presence and influence in the area. 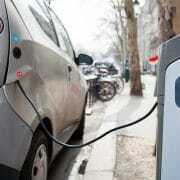 A key matter for the market growth of electric vehicles is word of mouth. Friends don’t let friends drive gasmobiles! The leading cities and states above will likely see their EV adoption grow exponentially (as we’ve seen in Norway over the past several years). For the foundation of EV sales growth, the big matter is just getting electric cars into the area and getting adoption off the ground. Strong state incentives, consumer awareness organizations or campaigns, and EV dealerships could all help a great deal with that — as can the Tesla Model 3 and Model Y. Before putting everything on Tesla’s shoulders, though, something you might want to consider is what role you could play for quicker EV uptake in your area. There are organizations waiting to be formed, policies waiting to be drafted, and commercials waiting to be produced. Remember — ask not what your community can do for you, but what you can do for your community! If you want to get involved politically to promote EV uptake, be sure to check out our Cleantech Revolution initiative and put your name in the hat. And by the way, the three paragraphs above apply to people in California too. It’s easy to conclude that California is doing well, but 3.6–4.1% EV market share is still pretty lame, and far less than is needed. The state suffers from poor air quality that is largely due to dirty transport. It faces tremendous risk from climate disruption. And it benefits economically from a shift away from fossil transport. The home of Tesla should be sporting 100% EV market, 70% EV market share, or at least 30% EV market share. One out of every 24 auto sales is totally meh. Any other takeaway thoughts from the data? US West = EV Adoption Champion In USA, by Zachary Shahan, Clean Coalition, December 2, 2018. 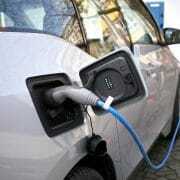 PG&E Proposes Ditching Demand Charges for Commercial EV Charging, by Julia Pyper, Greentech Media, November 7, 2018. Huron is a small town in the heart of the Central Valley. That’s literal–ten miles or so south and east of Harris Ranch, it’s about the halfway point for drivers making the trek between Los Angeles and the Bay Area. But culturally and economically, Huron is about as far from the touristic setting of Harris Ranch as you can get. Huron’s residents are mostly farmworkers, many of whom have lived in the area for generations. Not only does the entire region suffer from some of the worst air quality in the nation, being surrounded by farms doesn’t so much lend it a bucolic setting as one filled with dust, pesticides, and, according to residents, asbestos in nearby streams. The region has some of the highest asthma rates in the state, and residents do hard physical labor for not very much money. It was a problem that the mostly low-income community solved by itself, with its own resources. The raiteros are doing good work, not only helping people get where they need to get in a timely way, but increasing the average number of riders per car making that long drive. However, for the most part they drive older cars that are neither clean burning or fuel efficient. That part is not good for anybody; not only do private vehicle trips account for the single largest chunk of emissions (28 percent), but there’s that polluted Central Valley air. 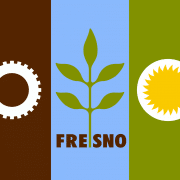 Some of those trips to Fresno are about to get a lot cleaner, with a new program called Green Raiteros. Two new all-electric vehicles—a Chevy Volt and a BMW 13—will be made available for use by the raiteros, along with a more formal dispatch system to keep it organized. Huron recently held a celebration to launch it, which also served as the official opening for a new community center that will offer an air-conditioned spot to hang out, computers with wifi—which is not so easy to come by in the rural town—and a maintenance yard and electric charging station for the new vehicles, as well as electric vehicles that will come to Huron in the future. The Green Raiteros program has been in the works for several years. Huron’s mayor, Rey León, founder and executive director of San Joaquin Valley Latino Environmental and Advancement Policy (Valley LEAP), has been cobbling together funding—and community capacity—from a variety of sources, including grants from Just Transit and the California Endowment, and funds from a pot of money created when the CPUC settled fraud charges with an electricity company. The money is not just for the two electric vehicles. The program launch also necessitated the installation of charging facilities in Huron and Fresno, the hiring of a program manager, and the creation of the dispatch system. “Just getting the power to a rural community was a major undertaking,” he said. “Green Raiteros faced many technical hurdles, but they never gave up.” Those included getting the right power lines out to Huron, which required coordinating with PG&E and EVGo, a company that is building a network of charging stations in the Central Valley. The cars have a range of 60 to 75 miles, enough for a one-way trip, so charging again in Fresno will be necessary to get home. Reyes Barboza, the Director of Operations, has been working on bringing the project to reality since January. He’s also a native of Huron, but spent time in the Bay Area and on the East Coast getting educated and working as a planner before returning to Huron to work on the Green Raiteros project. In addition to the electric vehicles, Green Raiteros offers a dispatching service and a way to pay drivers who use their own cars for their expenses, similar to the way many volunteer organizations function. “We want to make sure we don’t creep into the taxi area,” said Barboza. “We want to keep it affordable.” Drivers who use the electric vehicles won’t be reimbursed, but they do get to drive the cleanest cars in town. Huron is far from the only rural, farmworker-resident town in California, and the raitero system is widespread. Its informality makes it hard to know who or even where all the raiteros are, even in Huron. Part of what Green Raiteros has to offer is a model for other places to figure out how to implement a similar program to support the community as well as to clean up emissions, and other cities, such as Stockton, are watching to see how the program works out the kinks. Green Raiteros is “just matching it up with today’s technologies, to make it easily consumable, understandable, safe, and secure,” he said. The program is still in the process of hiring dispatchers and setting up a system, but they plan to begin offering rides this week. “The wheels are grinding slowly,” said León, “but definitely each revolution is very productive and instructional for us. We’re getting rid of the air bubbles and getting rid of potholes” so other cities and towns can emulate Huron’s success. The first trips they will focus on are for medical and family services appointments. In a video about the project, and the mayor, León counts the ways Green Raiteros is an important resource for Huron in addition to the community center: it provides economic justice, serving those who need it most; it offers environmental benefits by providing cleaner transportation; it’s one of many solutions for climate change; and it offers transportation justice, putting those without vehicles on an equal footing as those that have them. Greening the Heart of the Central Valley, by Melanie Curry, Streetsblog California, October 26, 2018. Electrify America announced its next $200 million investment in Zero Emission Vehicle (ZEV) infrastructure as well as education and awareness in California which is outlined in its Cycle 2 California ZEV Investment Plan submitted to the California Air Resources Board (CARB). Cycle 2 is a 30-month investment period, which begins in July 2019. The investment will build on Electrify America’s initial priorities and expand into new areas, where the need for electric vehicle charging stations and technology are greatest or are most likely to be used regularly. Consistent with the guidance of CARB, Electrify America plans strive to ensure that 35 percent of Cycle 2 investments are in low-income or disadvantaged communities. – Metropolitan Areas: The central focus of electric vehicle charging infrastructure investment in Cycle 2 will shift to more DC Fast Charging (DCFC) stations within metro areas, where electric vehicle (EV) drivers are expected to charge most often. Electrify America will invest in nine metro areas inside California, including these new metro areas added for Cycle 2: Riverside-San Bernardino, Santa Cruz-Watsonville and Santa Rosa. Electrify America also will continue to invest in the six Cycle 1 metros: Fresno, Los Angeles-Long Beach-Anaheim, Sacramento-Roseville-Arden-Arcade, San Diego-Carlsbad, San Francisco-Oakland-Hayward and San Jose-Sunnyvale-Santa Clara. These metro areas are expected to account for 89 percent of expected battery electric vehicles (BEVs) in operation through 2022, according to a 2017 Navigant report. The DC Fast Charging stations will be placed in retail locations but also consider the needs of adjacent multi-unit dwellings where Level 2 (L2) residential charging deployment is oftentimes challenging. Electrify America also will invest in DCFC stations specifically targeting shared mobility drivers – car share, taxis and transportation networking company (TNC) drivers. – Highways & Regional Routes: The new Cycle 2 investments announced today will continue to build out a highway network of DCFC stations featuring charging power up to 350 kilowatts which can refuel a vehicle at up to 20 miles of range per minute. This will include building new sites connecting regional destinations, such as supporting travel to the Sierra Mountain communities and destinations like Lake Havasu. 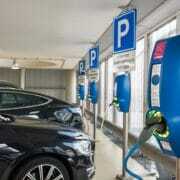 – Residential: The primary, most convenient and cost efficient fueling option for many drivers is residential charging. 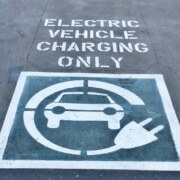 The Office of Energy Efficiency & Renewable Energy at the Department of Energy reports that EV drivers conduct ‘more than 80 percent of their charging at home.’ However, the cost and complexity of installing home charging can be a barrier to ZEV adoption for some buyers, especially in low-income communities. To address this need, Electrify America will develop a comprehensive residential charging solution. First, Electrify America will develop an online tool that promotes and connects EV buyers with the wide range of residential charging incentives and rebates already available in California and simplifies the application process. This program will be designed to integrate with CARB’s recently announced ‘one-stop-shop,’ which focuses on incentives for the ZEV purchase itself, and together these offerings will provide customers support throughout the entire purchase process. In addition, Electrify America will offer ‘no-money-down’ residential chargers and installation, enabling buyers who cannot or choose not to pay for the L2 charger installation at home. The cost of installation will be incorporated into a monthly fee. Finally, Electrify America will develop a platform that will allow drivers with a home charger to earn financial rewards for plugging in and supporting a demand response platform for grid electric power stability. – Bus and Shuttle Charging: To help spur adoption in this sector, Electrify America plans to collaborate with transit operators to provide charging infrastructure at depots, layover points, and on key routes. This approach offers another means of serving disadvantaged and low-income populations who rely on public transportation. – Rural: To further support the adoption of ZEVs in rural communities in California, Electrify America will deploy L2 chargers in rural areas with a potential focus on health care facilities and education institutions located in the Central, Coachella and Imperial Valleys. – Autonomous: To support the growth of autonomous ZEVs, Electrify America will build up to two commercial deployments of charging stations for autonomous electric vehicles where this need is emerging. Renewable Generation: Electrify America will invest in renewable generation for select stations to help to reduce station operating costs and reduce the carbon content for EV refueling which is consistent with California’s broader air quality goals. – Education and Awareness: In Cycle 2, Electrify America will invest in additional education, awareness, and outreach activities to help drive ZEV adoption. Efforts will primarily focus on boosting awareness and consideration by informing the general public on the benefits of ZEVs through traditional media advertising, similar to Electrify America’s Cycle 1 “JetStones” TV/radio campaign. Electrify America’s marketing outreach will continue to coordinate with ZEV awareness initiatives by collaborating with key non-profit organizations like Veloz. Electrify America also will work to generate awareness of its charging network to promote station utilization through digital activations and targeted digital media interactions such as paid search and web banners for specific groups most likely to be able to utilize the Electrify America charging network. Electrify America will continue to support the Green City Initiative in Sacramento. The initiative, which includes two ZEV car share programs, two BEV bus/shuttle services and substantial investments in associated charging infrastructure, will showcase new uses of ZEV technology while promoting increased ZEV usage across many channels serving low-income or disadvantaged communities. While these programs are funded in Cycle 1, the services – and benefits – of this $44 million Cycle 1 investment will launch and be fully operational during Cycle 2. Electrify America will provide strategic guidance and operational support for these services over the course of Cycle 2. The California Cycle 2 ZEV Investment Plan benefited from collaboration with the California Air Resources Board and Staff and a comprehensive national outreach period, during which Electrify America received more than 700 submissions and spoke with more than 100 individual submitters. The company held community meetings across California focused on local government and community-based organizations and engaged with California’s leading academics at UC Davis, UCLA and the National Laboratories. Electrify America was established to implement the $2 billion ZEV Investment Commitment outlined in Volkswagen’s Court-approved settlement involving 2.0L TDI diesel vehicles in the United States. The investments will be made in four, 30-month investment cycles that will direct $800 million in electric vehicle infrastructure, education and access programs in California, one of the largest ZEV markets in the world; $1.2 billion is budgeted for states outside California through 2026. Under the Consent Decree for this settlement, investment decisions are Electrify America’s to make and plans are subject to review by the California Air Resources Board (CARB) and the Environmental Protection Agency (EPA) for consistency with the requirements of the Consent Decree. Electrify America Announces Second $200M Zero Emission Vehicle Investment Plan For California, by Blagojce Krivevski, Electric Cars Report, October 4, 2018. 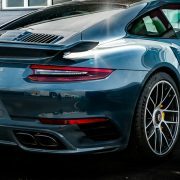 Porsche drops diesel engines, switches to hybrid and electric power for alternative energy, by Joshua Dowling, News.com.au, September 24, 2018. 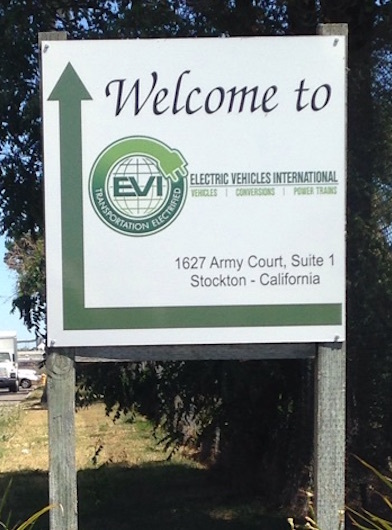 There’s a new group in town — the Davis Electric Vehicle Association! As an affiliated sub-group of the Sacramento Electric Vehicle Association (SacEV), a chapter of the national nonprofit Electric Auto Association, DEVA advocates for electric vehicle adoption and supports the development of EV infrastructure regionally. DEVA is a special kind of car club made up of electric vehicle owners, prospective owners and enthusiasts from the Davis and Sacramento area and is a working group of Cool Davis. 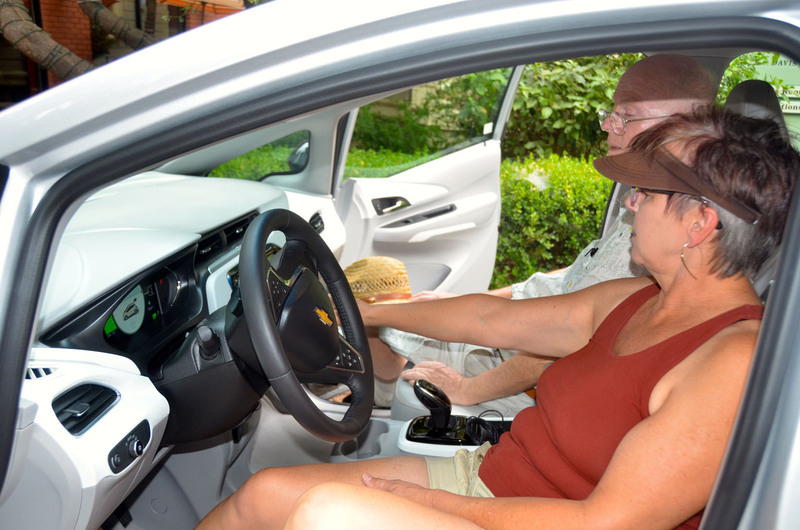 DEVA held its first meeting, hosted by members of SacEv and Cool Davis, on Aug. 27, when 24 members gathered to share stories and enthusiasm for alternative fuel vehicles. 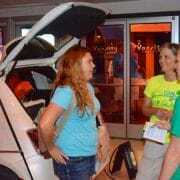 DEVA meetings will host guest speakers presenting on various EV topics. The group’s first meeting featured Robert Haran’s presentation on vehicle-to-grid technology, a potential way for plug-in EVs to transfer energy back and forth to the grid. Members discussed future meeting guest speakers (possibly from Tesla) and topics such as EV market updates, the Valley Clean Energy Alliance, EV charging and battery care, PG&E EV charging station rollouts and EV travel stories. The group also proposed fun events like a Davis EV parade and field trips to the California Independent System Operator and the Wind Farm. Ride-and-drive vehicles will include Nissan Leaf, Chevy Bolt and Volt, Honda Clarity, BMW i3, Ford Focus, Ford Cmax and Ford Fusion. Show-and-tell vehicles will include Fiat 500e, Honda Clarity, Kia Soul, Tesla S and X, Chevy Bolt, Nissan Leaf and Toyota Rav 4. DEVA also plans to host an EV/PV Home Tour on Sunday, Oct. 22. Details will be forthcoming. DEVA plans to meet every other month; the next meeting will be in October, with the date, time and location to be announced. For more information, email deva@cooldavis.org. Electric Vehicle Owners Join up to Advocate, Share Info, by Jessica Driver, The Davis Enterprise, September 14, 2017.